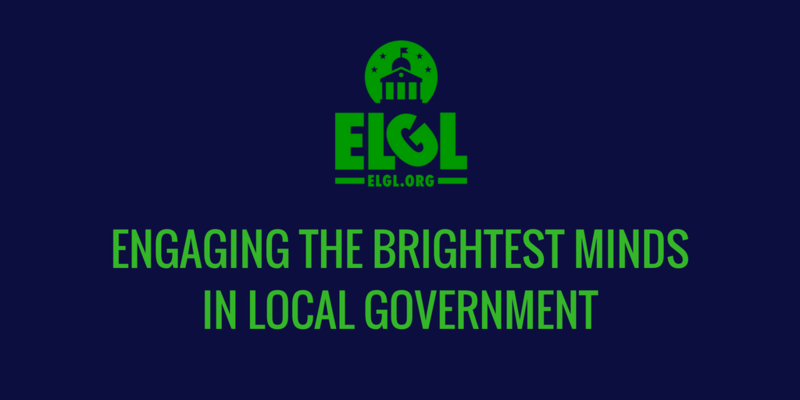 ELGL engages the brightest minds in local government. ELGL is adding a new member to our Board of Directors. The board will support the work of ELGL and provide mission-based leadership and strategic governance. While day-to-day operations are led by ELGL’s executive director (ED), the board-ED relationship is a partnership, and significant involvement of at least 15 hours per week by the Board is both critical and expected. ELGL board members will assist with a fundraising and financial plan to ensure ELGL’s long range financial sustainability. Two ELGL board members (Kent Wyatt and Ben Kittelson) will serve ongoing terms. Three ELGL board members will serve staggered terms. Stacy Schweikhart and Dan Weinheimer are the current staggered term members. Board meetings will be held monthly and committee meetings will be held as needed. All participation will be electronic/remote unless otherwise planned and noticed. This is an awesome opportunity for an individual who is passionate about ELGL’s mission. Selected board members will have a bias for action and achievement, with a desire to make ELGL grow and thrive. Board members should possess a sense of humor, creativity, strong writing skills, integrity, and credibility. Working in teams is an essential component of board service. Our current ELGL advisory board members will select the new board member no later than June 30, 2018.